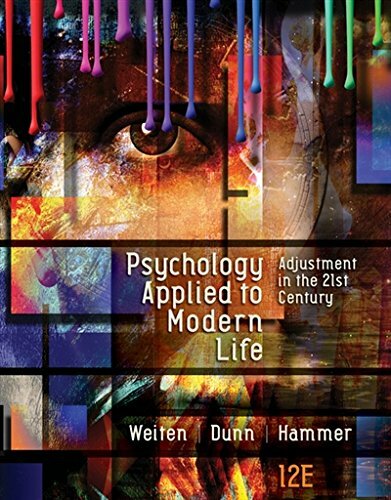 1305968476 -Filled with comprehensive, balanced coverage of classic and contemporary research, relevant examples, and engaging applications, this text shows students how psychology helps them understand themselves and the world. It also uses psychological principles to illuminate the variety of opportunities students have in their lives and their future careers. While professors cite this bestselling book for its academic credibility and the authors’ ability to stay current with “hot topics,” students say it’s one text they just don’t want to stop reading. Students and instructors alike find the text to be highly readable, engaging, and visually appealing, providing a wealth of material they can put to use every day. Brand new to this edition is the MindTap online learning experience, featuring an eBook, enticing activities that engage students in overcoming common misconceptions about psychology, animations that introduce key concepts, automatically graded tests for each chapter, and more.